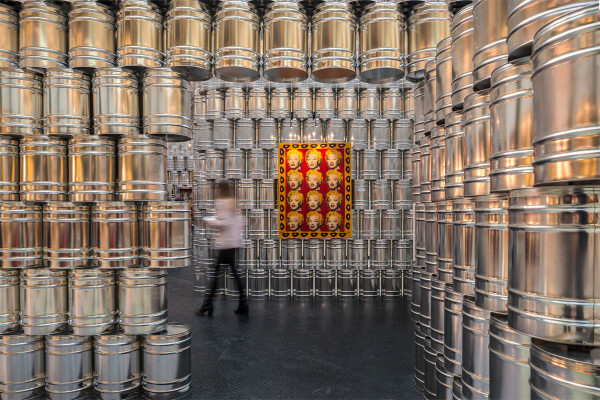 The Temporary Andy Warhol Museum designed by LIKEarchitects is a cultural space within a commercial space. 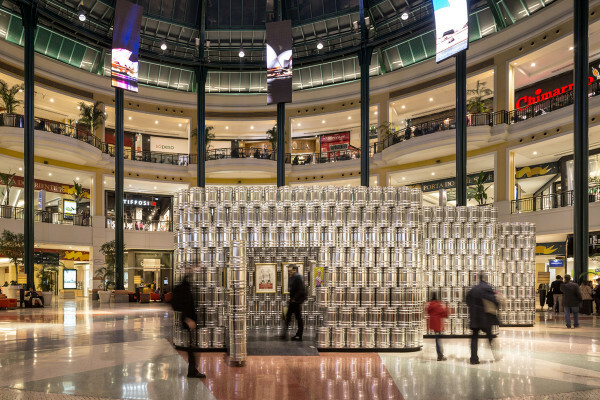 It was designed to host the exhibition “Andy Warhol—Icons | Psaier Artworks and the Factory,” which was open between April 11 and July 11 at the Colombo Shopping Mall in Lisbon and included a total of 32 original works by the American artist. The museological space avoids the idea of having neutral white exhibition spaces and relates to the exhibited artworks through the creation of a strong visual context that uses the artist’s imaginary. 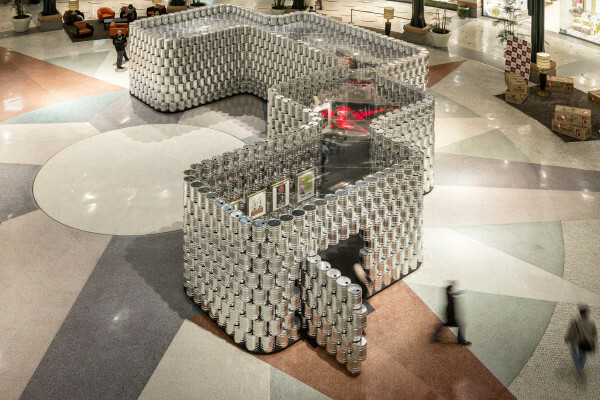 Metal paint cans serve to recreate an environment that is both pop and industrial. 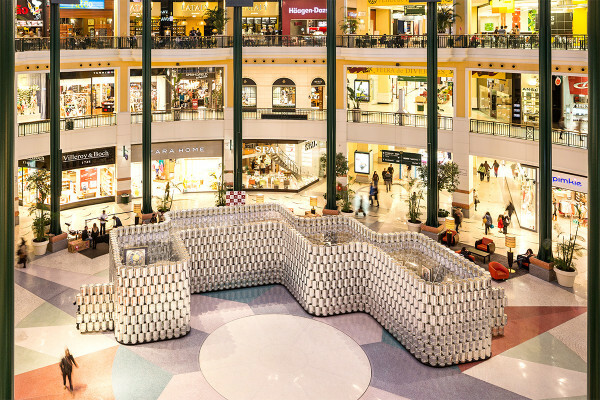 The expository structure, set in the central plaza of the mall, features an abstract exterior that is extremely appealing and assumes an iconographic character with clear links to Pop Art. The interior was designed as an enclosed introspective space, entirely defined by continuous walls, benefiting from a transparent cover in plastic screen. This cover has the dual function of allowing light to enter from the exterior and assuring the visual relationship between the two confronting spaces (museum/shopping mall). A fluid succession of four exhibition rooms, thematically organized, results in a new pathway that challenges the organic symmetry and rationality of the shopping mall’s main square. 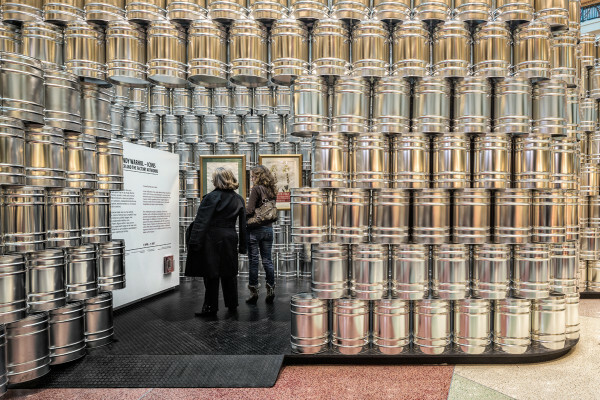 Like Warhol’s artwork, the museum reflects consumer society, but in a literal way through the raw aluminum of cylindrical cans. 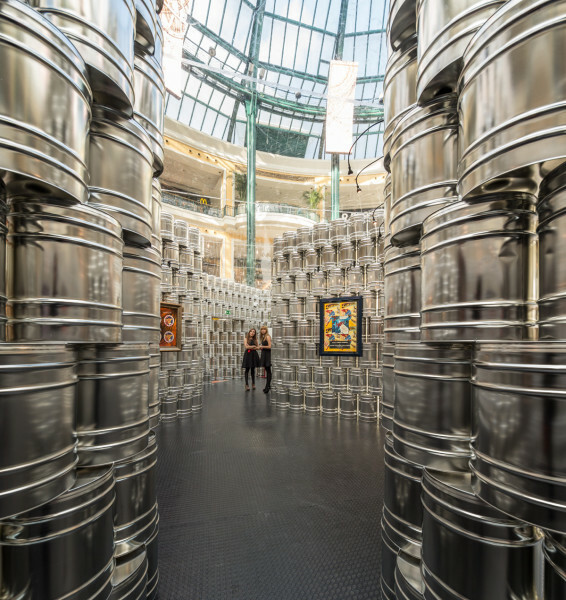 Having received more than 100,000 visitors, the Temporary Andy Warhol Museum sought to contribute to the dissemination and promotion of art, free and accessible to all visitors. The work on display spans across all genres and looks into new approaches in graphic illustrations to date. The space consists of a series of outdoor and indoor areas which feature products by designers and artists, blurring the lines between the two disciplines.